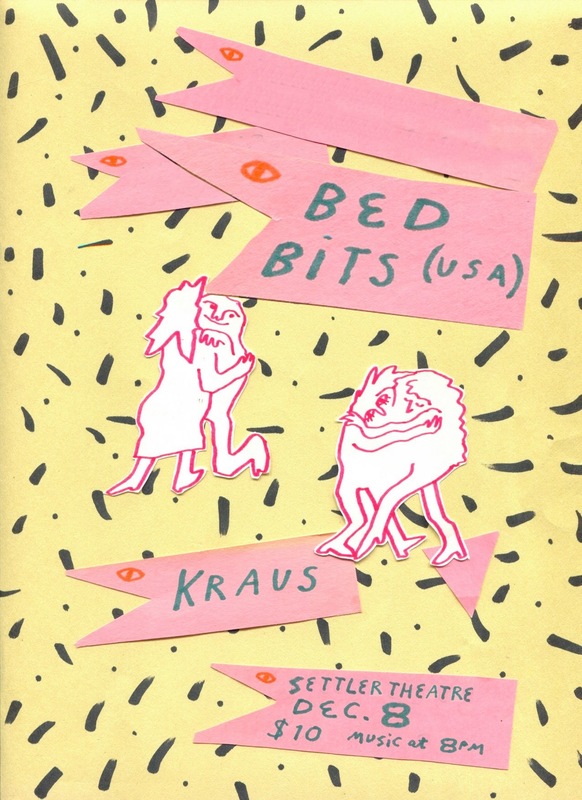 Bed bits play Settler Theatre. This four-piece will be bringing the summer vibes to Oamaru with their unique brand of sunshine-embracing rhythms and guitar lines as light as a lemon-augmented Corona at the beach. Saturday 8 December, doors open 7pm. $10 Entry, BYO Drink, Food available to purchase on the night. Alex Edgeworth is a self-taught artist and multi-instrumentalist with allegiance to nine U.S. states and dozens of band rosters. Born in New York City, Alex bopped around the country before blooming late into music. Bed Bits began within the crystal crossroads of Brattleboro, Vermont, where Alex had been flower farming and playing music for 3 years. After lassoing a Tascam 8-track from a Wizard of Oz-obsessed performance artist in exile, Alex slowly taught herself guitar and home recording. She then moved to Los Angeles to escape the Vermont slush doldrums and formed Bed Bits' first live lineup. Her songs are wonked, cheerful tone poems about lava lamps, dreamscapes, and holidays, folding plinky polyrhythmic guitars over each other like pie lattice. Currently, she lives in a salmon-pink cottage on a busy street in Portland, Oregon.